As one of Europe’s sunniest capitals, Lisbon’s beauty strikes most first-time visitors. Lisbon is a big city but one that is perfect for a weekend getaway. Of course, one cannot see everything in two days. That’s why so many travellers visit more than once. Everything is new to you, so here’s your chance to discover what everybody is so excited about. With seven hills that overlook the River Tejo, Lisbon has a stunning location and an amazing light that immediately captivates visitors. It’s a rewarding destination that combines the beautiful old quarters where fado singers perfom in the background and vibrant parts that make it one of Europe’s most exciting cities. For more reasons, check out the Why Go page. 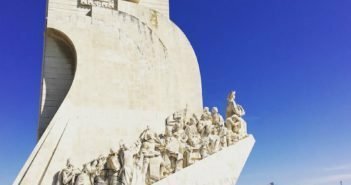 How much time should I spend in Lisbon? It depends. 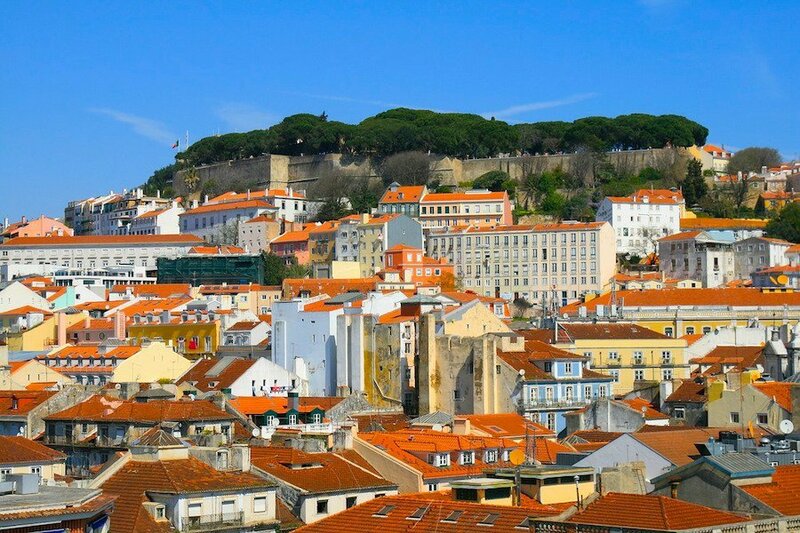 For many that come to Portugal, Lisbon is the only place they visit. But most people will want to see other parts of Portugal. 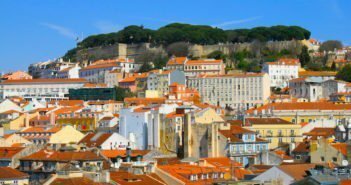 If you’ve got about a week in Portugal, you may consider spending three days in Lisbon, including a day trip to the beautiful village of Sintra, two days in Porto, and the remaining time exploring a few places between Portugal’s two largest cities. If you’ve got more days, consider a non-urban destination. If you fancy the beach, choose the Algarve and the southwest Alentejo. 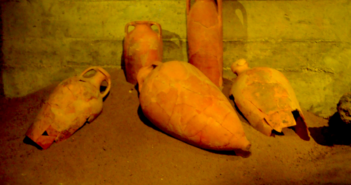 If you prefer the countryside, then consider a visit to the Douro valley vineyards. What are Lisbon’s must-see attractions? 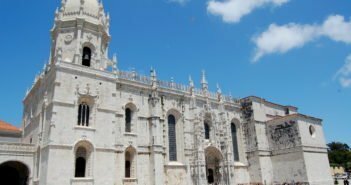 There a number of attractions and activities that every visitor should consider: São Jorge Castle and the maze of narrow streets and alleys of Alfama, the Belém monuments, including Jerónimos Monastery and Belém Tower. The Baixa and Chiado neighbourhoods are the best for shopping. 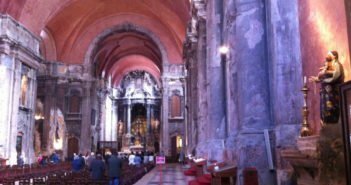 If you have limited time, check out Lisbon in One Day Itinerary and Lisbon in Two Days Itinerary designed to help you make the best of your time. 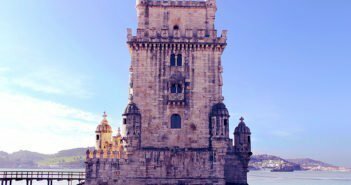 What is a reasonable Lisbon budget? Lisbon has a wide range of excellent hotels, from international brands to boutique hotels. Here are some of the best hotels by neighbourhood. Another good option for families are self-catering apartments located in central areas such as Baixa and Chiado. There also numerous backpacker hostels in Lisbon. You can visit Lisbon any time of the year – it’s never too rainy or too cold. Summers can be hot but not impossible, since there is usually a sea breeze. There are occasional heat waves between June and August, due to African air masses, generally lasting no more than 3 to 5 days. Winters are pleasant with many sunny days, and snow is nonexistent. During the shoulder months (April, May, September and October), the weather in Lisbon is usually sunny with pleasant temperatures. For more details on the best seasons to visit, check out this When to Go page. Is it easy to get around Lisbon? The city is not very large and has a reasonable public transport system. In central Lisbon, the metro is the most practical way to travel, complemented by the yellow buses and trams to reach parts of the city that are not accessible by metro. 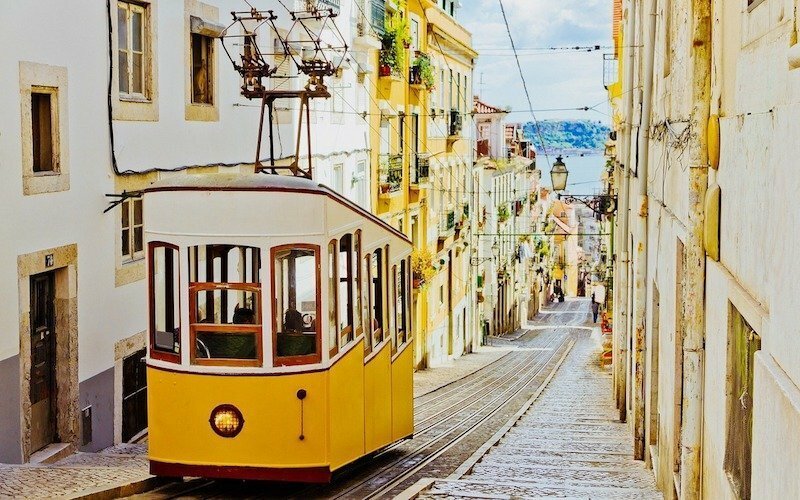 For information on Lisbon’s public transport, check out our Getting Around Lisbon page. Use the Viva Viagem card to pay for your journeys. For sightseeing tours, there a number of options including the hop-on hop-off buses and the tuk-tuk rides. Recently, electric scooter and bike sharing services have appeared in the city, and tourists are also using them more often. How do I listen to fado in Lisbon? Most tourists that visit Lisbon have a full dinner-and-show experience in one of the fado restaurants in Alfama or fado houses in Bairro Alto. Some prefer only a fado show such as Fado in Chiado, a performance featuring two young fadistas (fado singers) accompanied by two guitarists, playing classic and Portuguese guitars. 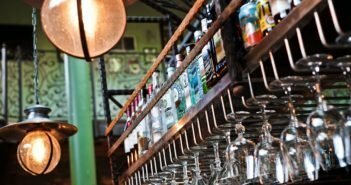 Should I have a guide to visit Lisbon? You don’t need a guide to visit Lisbon, but a guide will add depth to your understanding of the city’s long history. On the other hand, a guide will free you from having to organise your time and all the logistics of getting around. Finally, a guide can take you to local restaurants and help you choose the best traditional dishes. Lisbon is a safe city. A stolen wallet is the most common occurrence, known to happen especially on tram #28. The city centre is perfectly safe during the day, but just like in every city Lisbon has its bad parts to be avoided at night. 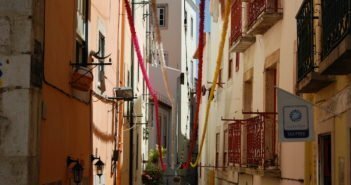 These include areas such as Anjos, Intendente and Martim Moniz, especially dark streets and alleys. Also, keep to well-lit main streets in the Alfama, Mouraria, Graça and Bairro Alto districts after dark.